Prince George is doing a very good job of outshining Kate Middleton and Prince William on the royal tour. Prince George has remained largely out of the spotlight on Kate Middleton and Prince William’s royal visit to New Zealand and Australia. And quite rightly so. But it only means we get ridiculously clucky when we do get a glimpse of His Royal Cuteness. 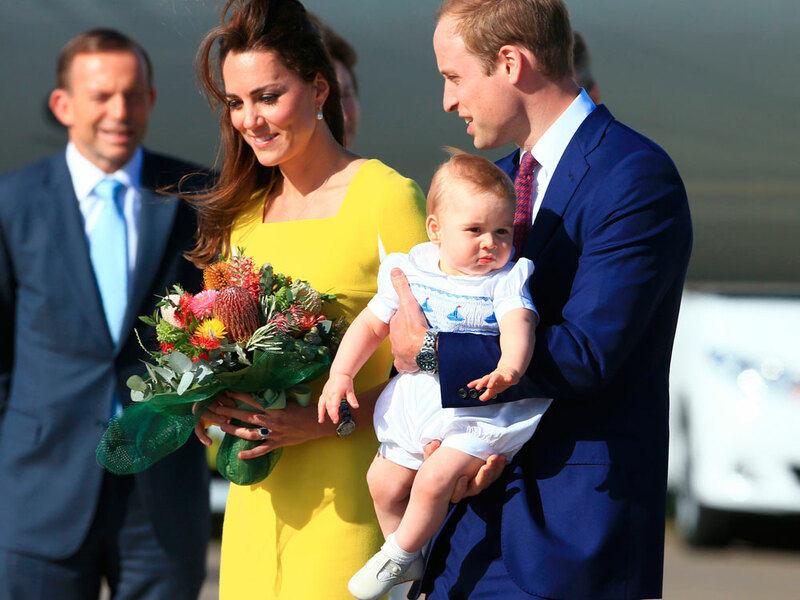 As the Duke and Duchess of Cambridge arrived in Sydney it wasn’t Kate’s eye-popping Roksanda Ilincic dress that caught our eye (though it is fabulous), no, it was baby George. Looking totally unphased (such a cool customer), George was wearing a so-dapper white baby-grow embroidered with blue sailboats as he chilled in the arms of his Dad. So what is it that we love so much about baby George (seriously, even the least maternal people in the MC office have been heard cooing over him)? 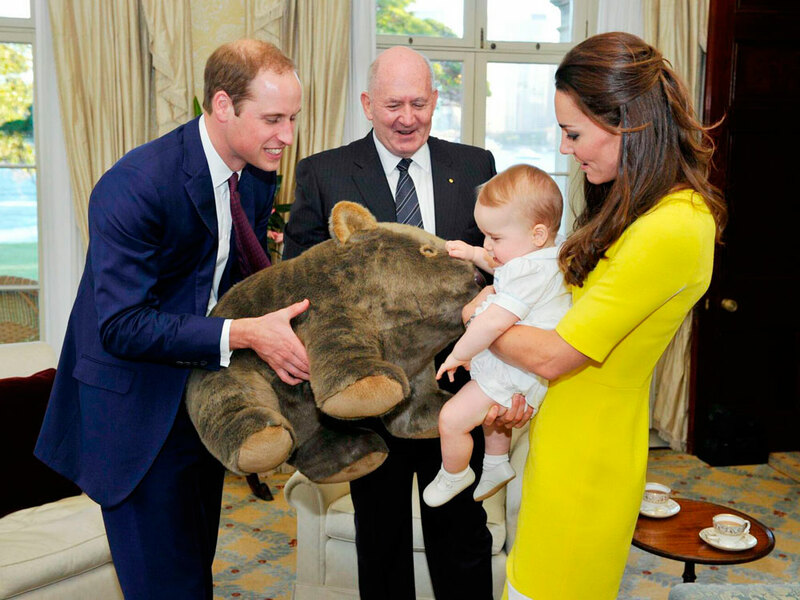 Is it that he looks so much like Wills, is it his laidback character or his squeezable chubby cheeks? The answer is: all of the above. He’s an absolute doll. Here’s hoping we get to see plenty more of him on the rest of the family’s 10-day tour of Australia.